Are you looking for the next vehicle you want to drive and you know it’s time to find a great used model to be the right one for you? 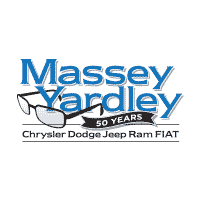 If so, you need to see the team at Massey Yardley Chrysler Dodge Jeep Ram Fiat in Plantation, FL. This is the dealership near me that can offer you a large number of amazing vehicles to choose from in order to bring you the model that you’re going to want to drive on the roads in Davie, FL. 2016 Dodge Dart SXT – This sedan is one that can handle the commute you have on a daily basis and provide you with the look and feel you want when you head out on the road. Visit this Fiat dealership near me and let this become the car that you’ll drive on a daily basis when you’re ready to head out on the roads around Davie, FL. If you want sensible, this is the car for you. 2015 Jeep Patriot Sport – Drive away in this impressive SUV that has the classic Jeep look that you admire and offers you the ride you desire when you head out on the road. You’re going to be amazed by the low price offered for this vehicle at the Fiat dealership near me so that you can have this capable and impressive model out on the roads in Davie, FL. 2016 Fiat 500X POP – If you’re looking for the right small SUV at this Fiat dealership near me, this 500X can be the perfect choice for you. This car is one that’s right for you to drive in Davie, FL when you’re looking for a great vehicle that brings the Italian design and qualities so that you can enjoy the ride and head out on the roads the way you want. 2015 Dodge Grand Caravan American Value Pkg – Are you looking for the right vehicle that will carry your family around where you want to go? If so, this gorgeous used minivan is being offered at this Fiat dealership near me and is one you need to take for a test drive. Let this minivan become the model you want to drive in Davie, FL after you see what this beauty has to offer. 2015 Dodge Journey SXT – Let this attractive SUV be the one that gives you the drive you need and the qualities you’ve been searching for. This is an SUV offered at this Fiat dealership near me that can fit up to seven people and give you the cargo room you desire when you need to take gear with you on the roads around Davie, FL. Make your way to Massey Yardley Chrysler Dodge Jeep Ram Fiat in Plantation, FL and let this be the place you find the vehicle you desire.